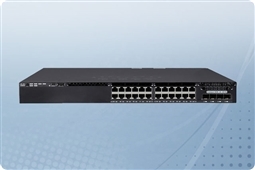 Cisco Catalyst 3650 Series Switches are made to deliver enterprise level connectivity to the small to medium size businesses that depend on them worldwide! These powerful Cisco 3650 Series switches have the best in flexibility with standalone and stackable designs all delivering access layer switching and uniform wired and wireless policy enforcement bring together the base for wired and wireless access on a single switching platform. Additionally, the 3650 Cisco Switches also are made to be slim with a 12 inch lower depth form factor making them ideal for deployment in branches and remote offices where space is a commodity in business networking closets. Plus with the low total cost of ownership created by additional wireless productivity brought by this platform it is no surprise why so many IT Professionals rely on the Cisco Catalyst 3650 Series Switches to help them Get IT Done! 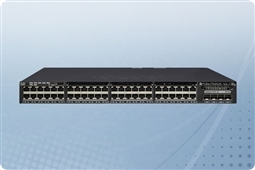 Aventis Systems is proud to offer our Cisco Catalyst 3650 Series Switches all with a 1 Year Standard Comprehensive Warranty with upgrades available to Express Parts Next Business Day Replacement or Extended Term Warranties as well as Onsite Hardware Support Agreements. So please shop our Cisco Catalyst 3650 Series Switches below and get access layer, stacking, wireless, and power over ethernet (PoE) features for your business network today! Looking for more options? Please browse our full selection of Networking Equipment today!